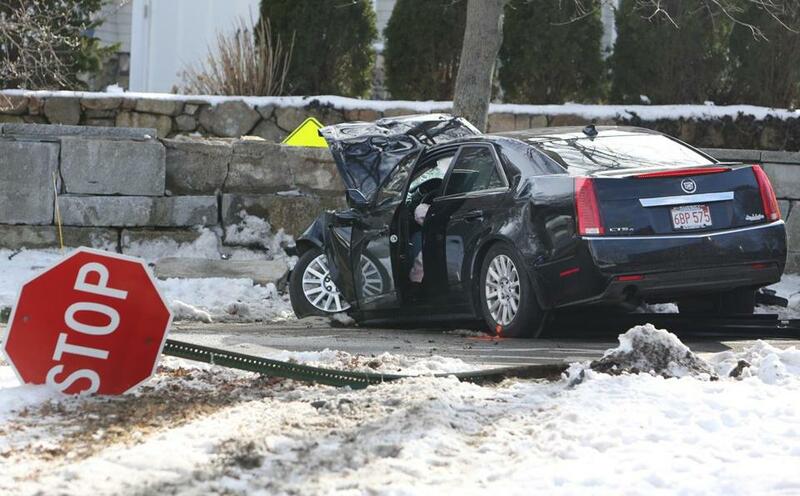 In the latest evidence of the grim toll caused by distracted driving and other factors, new statistics show that deaths from motor vehicle crashes in Massachusetts during the first half of this year were about 21 percent higher than two years ago and about 46 percent higher than 2013. The news wasn’t all bad: The number of deaths was virtually identical to the same period last year, according to projections released Tuesday by the National Safety Council, a nonprofit created by Congress to promote safety. Experts believe an improving economy and lower gas prices have contributed to the increase in deaths, both in Massachusetts and nationally, because those factors lead to more traffic, as more people commute to work and can afford to drive farther and take vacations. Another factor believed to be fueling the deadly trend: more people driving while using cellphones and other devices. “The big issue is what we’ve been talking about for the past couple of years: People are using their devices and not paying attention to the roads like we need them to be,” said Jeff Larason, the state’s highway safety director. Larason spoke by phone Monday afternoon while looking out the window of the Transportation Building in downtown Boston. As he watched cars roll by, he said he spotted one driver after another looking at their phones. It’s not just drivers, either. “I’m looking at Stuart Street and there’s a guy skateboarding eating pizza with one hand and has his phone in the other hand,” he said. A total of 180 people statewide were killed in vehicle crashes during the first six months of 2017, according to the National Safety Council. That was about the same as the preliminary estimate of 179 killed in the first half of 2016, but significantly higher than in previous years. In 2015, the preliminary estimate for the same period was 149; in 2013 it was 123. The picture was similar nationally. Motor vehicle crashes in the United States claimed 18,680 lives during the first half of this year, similar to the 18,930 killed during the first six months of 2016. The council noted that the last half of the year tends to be deadlier than the first half. The 2017 figure was higher by about 8 percent than the first half of 2015 and about 12 percent higher than first half of 2013. Massachusetts has run public-awareness campaigns to urge people not to travel on roads while distracted. But it’s an uphill battle. “Technology is advancing, so it’s a little bit like trying to fight back the tide,” Larason said. Driving deaths by state Figures are considered to be preliminary estimates.